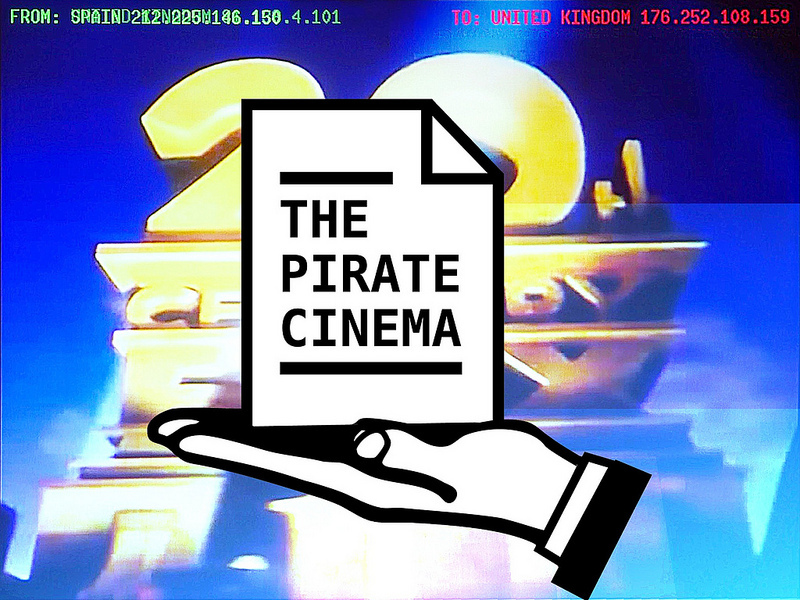 "THE PIRATE CINEMA : TPC is based on a data interception software. It reveals, through a simple diversion, different aspects of exchange platforms, such as the global and multi-situated nature of Peer-to-Peer networks (P2P), the potential for viral transmission, and alternative social models. 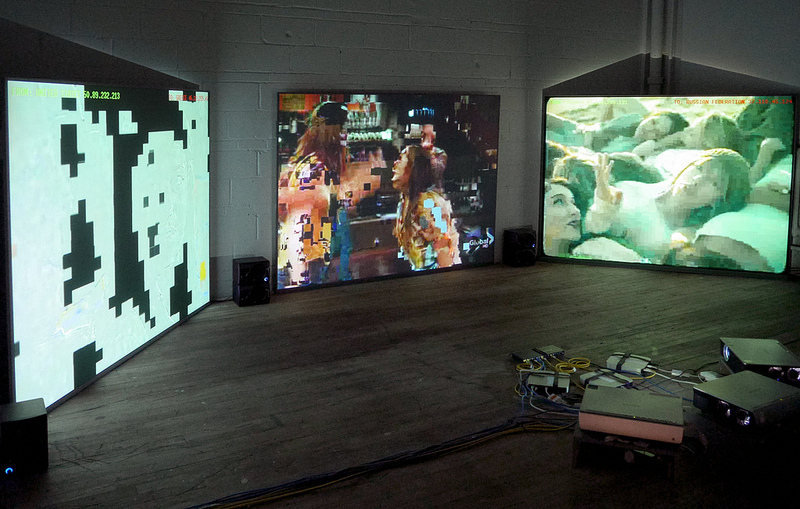 Its purpose is to make available for aesthetic exploration the pre-existing potentials of Peer-to-Peer architectures. [A] VIDEO INSTALLATION VERSION * The video installation of TPC relies on an automated system that constantly downloads the most viewed torrents. 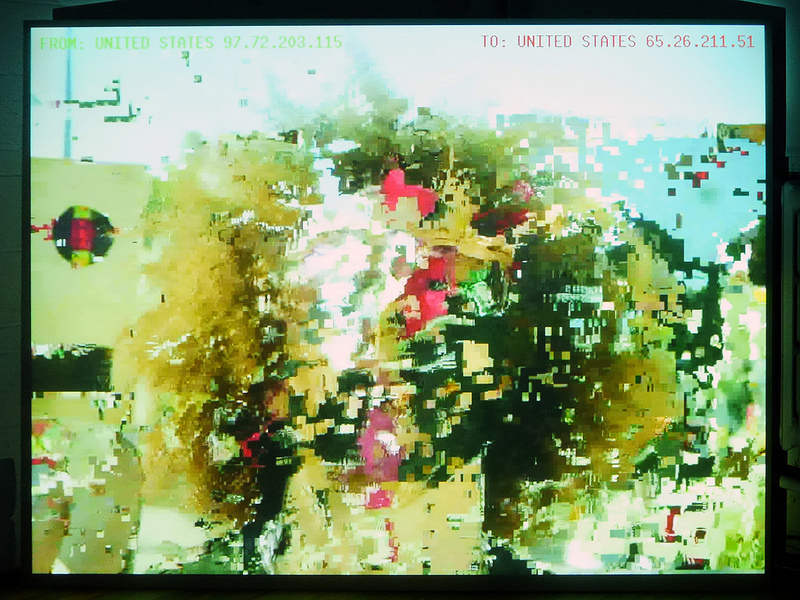 The intercepted data is immediately projected onto a screen, after which it is discarded. 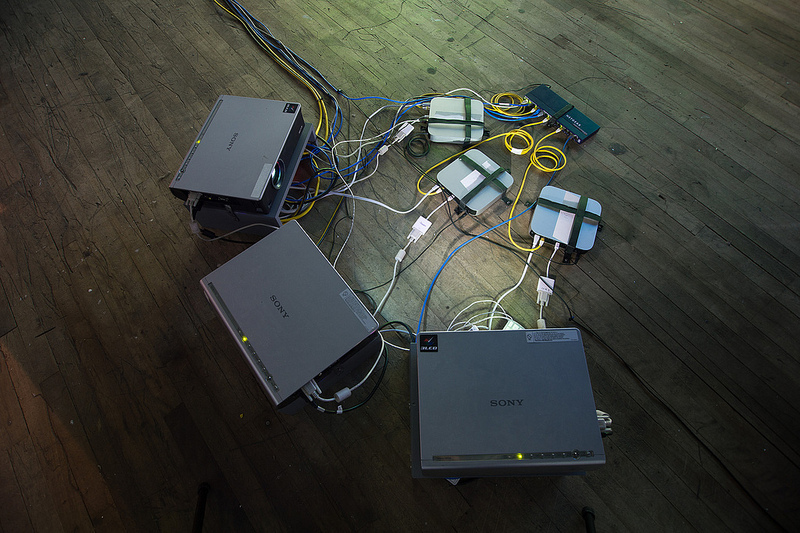 Depending on the exhibition space, the installation involves one to five computers, each one monitoring specific categories of files. This allows the system to visualize fragmentary files received and sent all over the world. [B] LIVE PERFORMANCE VERSION * The live performance of TPC relies on an automated system that downloads a selection of torrent files (movies, mp3) selected by the performer. This system is an instrument in itself, producing specific temporal and formal structures, from parameters defined by the performer. The performance lasts the amount of time required to download a group of files. The choice of the downloaded files may be related to the local or actual context. (Place, local cultural context, political, economic, etc.)" The Pirate Cinema by Nicolas Maigret - Software development by Brendan Howell - Production by ArtKillArt, La Maison populaire, Eastern Bloc.